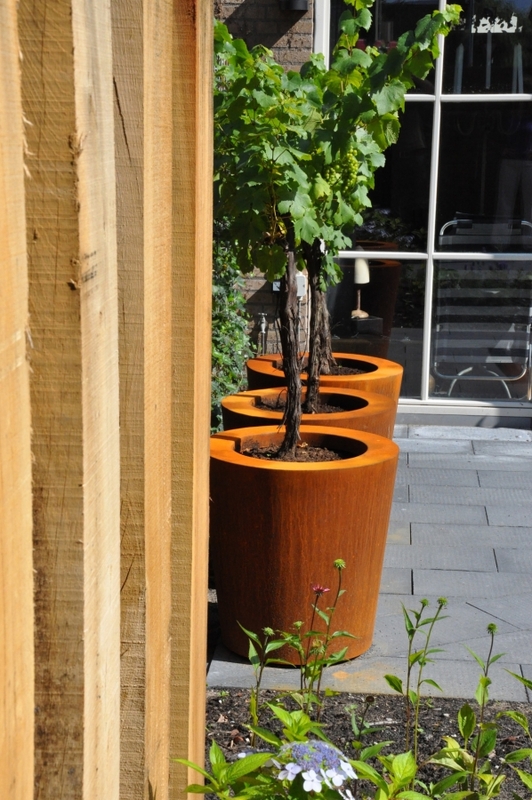 The standard material thickness of our Corten Steel planters is 2mm, Corten Steel, also known as weather resistant steel, is a very strong steel alloy. 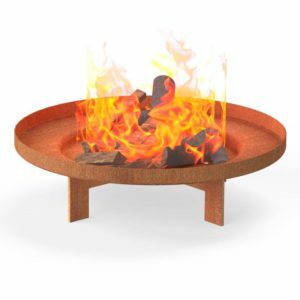 As soon as Corten Steel is exposed to the elements it will naturally weather and develop a protective layer of rust. This natural fixed coating of rust provides protection against further corrosion. Characteristic of Corten Steel is the brown-orange rust colour and its longevity. 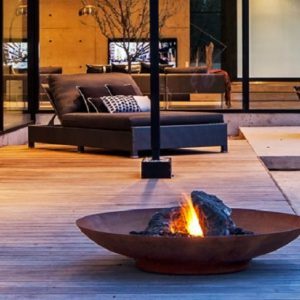 Our Corten Steel products are delivered in an un-rusted state and the weathering process will take about 4-5 months to complete. 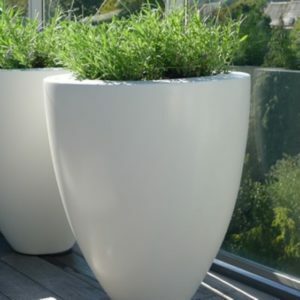 The Cado shaped pot is an attractive shape in this medium and looks well alone or like in the image in a grouping. It is slightly tapered in with the height being the same as the diameter at the highest point . There are 3 different sizes. Tags: cado pot, contemporary pot, Corton steel.